Random: A Bearded Man is an Unlikely Ally in Punch-Out!! 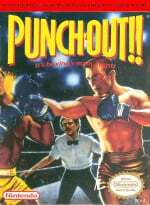 Punch-Out!! on NES is one of the most iconic games in the 8-bit system's library, inspiring popular culture into its third decade. Little Mac's rise to the top of the boxing world is simplistic, brutally difficult and still huge fun to this day. Like so many of Nintendo's NES classics it has its secrets, and it seems that a keen gamer has found something new. It transpires - thanks to Redditor MidWesternHousewives - that the one bearded man in the watching crowd is some kind of guardian angel, showing the user when to initiate a one-punch knockout of Piston Honda. Check it out below. Another user, unvaluablespace, then pitched in to confirm the authenticity of the find and to show that the bearded spectator also helps with the one-punch knock-out of Bald Bull. The interesting thing is the bearded man did not flinch or move a single pixel until I reached the second fights with piston Honda and bald bull. The bearded man seems to not do anything during the first fights with these opponents. I repeatedly set up and re-loaded save states to perform various random movements to see if the bearded man would react differently, and in the case of bald bull, constantly dodged his bull charge. Sure enough, exactly every time you mentioned and showed in your video, the bearded man ducked just in time. It's an awesome find, and shows that there could be more fiendishly hidden secrets to discover in the future. That's unexpectedly cool! Especially considering nobody's noticed this before in like 3 decades. Thank you internet for spreading, and even discovering (looking at MK Ed Boon menus), such ancients secrets!! Man, that's pretty cool. There's always more to discover even in games that are 30 years old. Makes me think of the snarky commentator cheat in Wave Race Blue Storm that was found years after it was made. That's cool. Always amazes me to see new discoveries in old games! Awesome, very well spotted. Nintendo clearly paid a lot of attention to the details when they made this game. ..cool.. Wonder if he is any help against Mike Tyson?.. That bearded man needs to help me with Mr. Dream, man is that fight impossible or what? I'm sure others actually already knew this but I admit to not knowing about it, so still really neat someone demonstrated it. Seems like a dev trick for debugging purposes. Easy to miss considering you're trying to avoid getting hit. Beard Man for Smash Trophy! This is a cool find. You're late to the party, NL. I already saw this on IGN yesterday. Geez, you need a keen eye for that!